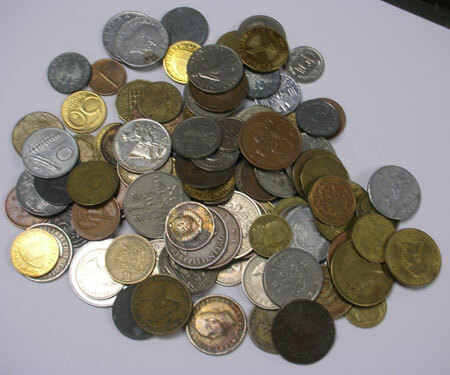 World Coins AKA Foreign Coins by the 1 lb Grab Bag! Each pound comes in its own bag. Countries and or coins that you see in the images are not guaranteed but generally is a good mixture. Average amount of coins per bag is between 95-110 coins depending on the weight. We sell these coins for 50 cent per coin in our store! That would be $50.00 for what we are selling for $9.95 here. Free shipping starts at only $200. Under $200 is only 4.95!